Charles Billings Stilson, in point of service one of the oldest newspaper men in Rochester and a fiction writer whose work had been published in far parts of the world, died unexpectedly early yesterday morning at his home, 2 Canary Street, aged 52 years. Mr. Stilson was apparently in his usual health and spirits when at midnight he left his nook at The Democrat and Chronicle, where he was employed as copyreader. He evidently was seized with a sudden heart attack after arriving home and died before medical assistance could reach him. The news of Mr. Stilson’s death shocked an unusually large circle of friends, many of whom had known him intimately from boy-hood. These admired him especially for his remarkably intense and active mind, his fund of anecdote and information, his rare conversational powers and his deft skill in a number of artistic hobbies. Fiction writing, which had enlisted his interest from school days, was only one of many pastimes. Of late years he had developed a genuine talent with the pencil and brush and some of his work passed as professional quality. He found time also to indulge a taste for carving, modeling and delicate cabinet work which won the admiration of skilled critics. He was an insatiable reader of fiction, and his mind was a storehouse of information covering almost the entire range of the short story and novel of various nations. It was customary for him to recall in detail plots and characters of stories read in his boyhood. Mr. Stilson’s ancestors on both sides traced back to early Colonial days in this country. Among them were soldiers who won distinction in the Revolutionary War. Beyond that, his paternal ancestors had been traced back to kinship with members of the British nobility. His father was Charles Stilson of Albion and his mother, who died when Mr. Stilson was only 4 was Lottie Billings of East Carlton. Mr. Stilson was born at Albion, October 3, 1880, attended the country schools of South Barre, Orleans County, and when 9 years old removed to Irondequoit with relatives. In 1896 he was graduated from No 14 School, Rochester, and entered the old Rochester Free Academy, which he attended for three years. At 16, Mr. Stilson entered the newspaper field, in which the remainder of his life, with only a few minor interruptions, was to be spent. He began as a cub reporter on the Rochester Herald, filling in during vacation time. For one week, he was fond of saying, he was office boy on that newspaper. In the fall of 1896 he entered the proof room as copy holder, became proof reader and worked at that job for four and a half years. He digressed from this department long enough to take a three-month course in linotype operating in New York City and to work at that trade on the Herald for the next year and a half. By this time Mr. Stilson had won the interest of the late Louis M. Antisdale, managing editor of the Herald, and entered definitely into the editorial end of newspaper work. Subsequently, he was reporter, assistant city editor and city editor, assuming the last named position June 3, 1911, upon the resignation of the late Edgar F. Edwards. On Sept. 20, 1918, he left the city desk to enlist in the United States Army for service in the World War, being assigned to the Student Army Training Corps at the University of Rochester where he served until discharged in December of that year. For the next four years Mr. Stilson devoted himself to fiction at Windburne, Pa., the former home of Mrs. Stilson, and while there turned out some of his most successful work. Novels and short stories came from his pen. His stories won tributes from many parts of the country and a number of his novels were published in England and Australia. His novels were “The Ace of Blades”, "The Island God Forgot,'' 'The Seven Blue Diamonds", ''The Cavalier of Navarre" and "Sword Play." 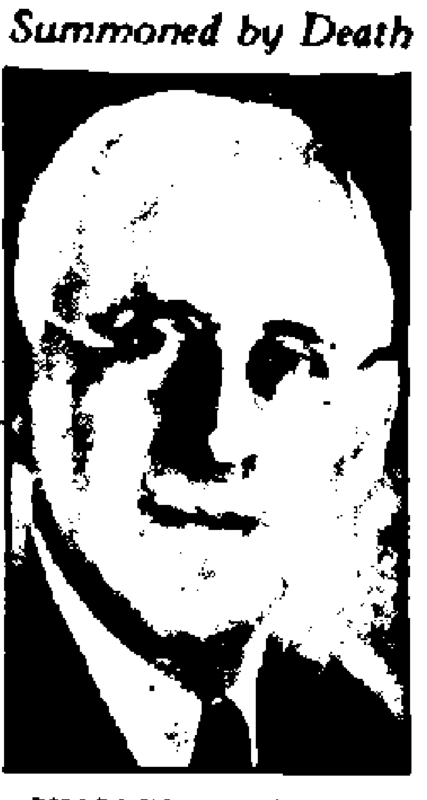 Mr. Stilson returned to Rochester in 1922 as literary editor on the Herald. In September 1926, he became copy reader on The Democrat and Chronicle. Many newspaper men and other professional writers owe their early progress to the kindly help and sympathetic guidance of Mr. Stilson. He was especially interested in young reporters honestly eager to advance and to develop their taste for literature. His own capacity for protracted labor when absorbed in a story was a matter of merriment for his friends. It was not uncommon for him to work at his newspaper desk all day, then write fiction all night and be back at his desk as fresh as ever at the opening of the next working day. One of his earliest successes, a serial story called "Polaris," was written entirely in those odd hours between the end of one working day and the beginning of another. Most of the short stories of that period were written in the same way. Aside from this inexhaustible literary flow, he was a prodigious reader of any subject that interested him, and the “atmosphere" which he created for many of his stories was so authentic as to deceive readers into the belief that he had been actually in contact with the life he pictured. In his newspaper work Mr. Stilson had formed a wide acquaintance in various circles and his devotion to those whom he chose as friends was enduring and dependable. Many of these can cite instances of his unselfish and thoughtful nature, the influence of which remained long after the events that had prompted them. Although he had opportunities to enter other fields of work, the newspaper remained his first and only love, aside from those pursuits he regarded merely as hobbies. His exact information on events of the past, his extraordinary memory for details, and his painstaking care in the preparation and editing of copy were proverbial among his fellow workers. Mr. Stilson was a life member of Rochester Lodge 660 F and A.M, a charter member of Lewis H. Morgan Chapter, New York State Archaeological Society, Rochester Typographical Union 15, Rochester Rotary Club and Memorial Post 104, American Legion. He leaves his wife, Mrs. Rose M. Bloom Stilson, and two daughters, Dorothy Elizabeth Stinson of Toronto and Rita Fern Stinson of Rochester. The body was removed to the funeral parlor of Moore & Fiske, 106 Lake Avenue for funeral services tomorrow afternoon at 3 o’clock. The body will be cremated and the ashes buried in Mt. Albion Cemetery at Albion. The family requests that flowers be omitted. Thanks for this detailed obituary on Stilson. Unlike many death notices, it mentions some of his fiction and books including POLARIS. I've known about this post for some time, but only now take the time to write; Thank you very much for posting this. Charles B Stilson was my great great grandfather. It's good to know he's remembered. And this puts an even clearer picture of who he was that I can connect with the work of his I have. You're welcome, I and many others have enjoyed his stories. Speaking of clearer pictures, do you have a better one that you can share with us? If you can, please email it to "pulpflakes (AT) gmail _DOT_ com". And any other memories/pictures that you can share would be much appreciated - did he leave behind any manuscripts/magazines/artwork?